Please call or email the below leaders often — be pro-active. Also consider seeing lawmakers in person, both with ZOA, and also at their office. Urge American leaders to continue supporting Israel. Ask them not to force Israel to make dangerous territorial concessions or divide our holy capital of Jerusalem. Insist that they do not reward Palestinian-Arab terrorists, including Mahmoud Abbas, who is not a moderate. Remind them that Fatah and Hamas have killed hundreds of Americans. 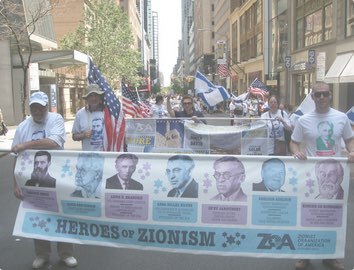 Thank them for supporting Israel. Ask congressional leaders to hold hearings to investigate anti-Israel activity and to sponsor/co-sponsor, introduce and vote for pro-Israel legislation. Tell Israeli leaders to ignore international pressure and to preserve and protect our heritage, including all of the land. Fatah does not want peace any more than Hamas. Israel belongs to all of the Jewish people no matter where we live. Demand the UN act responsibily.